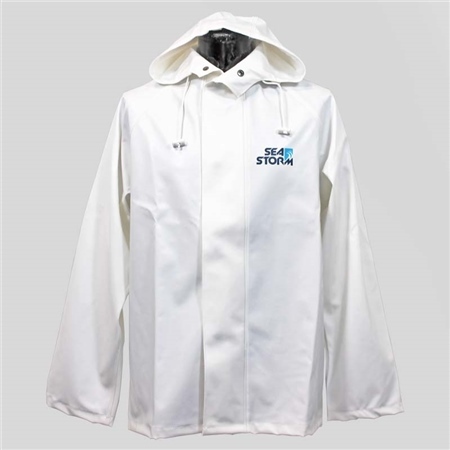 NEW SeaStorm Jacket available in white. This jacket is made from PVC coated waterproof fabric for both strength and comfort. Cold, chemical and abrasion resistant, this garment is waterproof, windproof and soft but hard-wearing. High quality with nickel press studs. Highly resistant against oil and frost.